We already went over all the new major features that iOS 7 will bring to select iPhone and iPad owners. The minor tweaks and improvements, however, deserve to get some attention as well, even though not a whole lot of them were highlighted during the iOS 7 announcement. 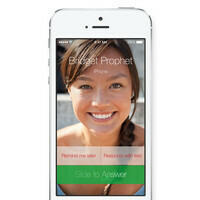 A small feature that many iPhone users will truly appreciate is the ability to block specific phone numbers. 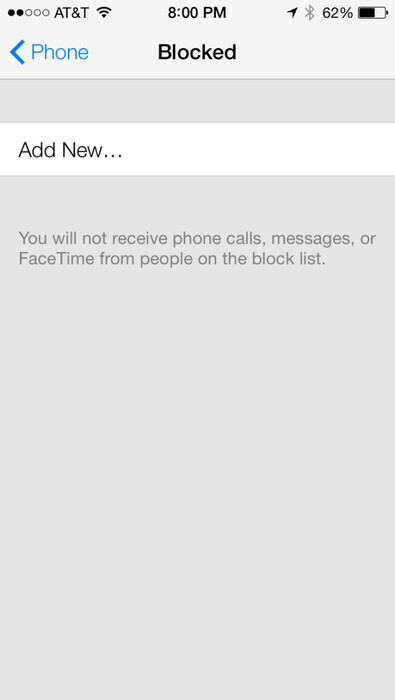 Unwanted incoming calls, text messages, even FaceTime conversations will not be allowed to disturb one's peace if that particular contact is on the blocked list. Cool, isn't it? To learn more about iOS 7 and the changes it brings, take a look at our extensive iOS 7 coverage. I thought that all phones can do that already. im not trying to defend apple here but the only way im able to do this is through rooting my current android device. just saying. I don't believe you sorry. I don't know what phone you are using, but my Samsung galaxy s3 and htc one s can block phone numbers without rooting the phone. All the phone I ever use can block number. I have an iPad but I don't own iPhone as its over price. LOL! After learning this I glad I didn't. HAHAHahaha!! All HTC android phones with their phone sense app have the feature already. All normal android phones can have a number added, then set to always go to voicemail. Nope apple is way behind in the times still trying to catch up. Actually no, not all phones can do that right from the phone itself. You'd either have to root it or go through the phone company. Everytime is see these "new" features for iPhone I always say "they didn't have that"? Just shows how the iphone is a dumb phone evolving into a smartphone. Android started as a smartphone and that's why its always will be more advanced then iOS. Period. I had the same impression about auto app update thing. @zig8100 You are one hundred percent correct. However, this slow evolution/copying of Android is great news. I tolerated Android's crappy OS, even after Jellybean, cause lack of features in iOS. Everyone knows, Android is just a clunky OS, it just offers more. "..Android's crappy OS...Android is just a clunky OS.." That's why Apple tried so hard to copy every single bit of it. That's a poorly-coded, heavily-skinned adaptation of Android whose transitions were also poorly animated which actually can be fixed. Otherwise, the phone does not lag. If you didn't know, most states forbid, or make it illegal to record calls, just a FYI. It has nothing to do with OS. You can, but it has to beep every few seconds and you the person have to warn them you are doing it. One of my old phones from Verizon (flip phone, back in 2006ish) allowed you to record phone calls....good times. What why cant i thumb down anymore did they change something to the site thats strange. Because a select few users have abused that option. If you have a problem with something somebody stated, you'll have to create a comment regarding your disagreement. Maybe they can bring it back and just limit it at the worst to 3 of less thumb downs per day as opposed to simply removing the feature altogether.